Charming home with garage apartment! Nestled within highly established Woodshire, this cozy home is sure to delight. Not often seen, this home boasts a unique second floor garage apartment with it's own kitchen and bath. Perfect for visiting in-laws or college students! Upon entering you are dazzled with the unique architecture and full wall of windows in the living area providing lots of natural light. The open breakfast room and kitchen make this a perfect home for entertaining, while the large formal dining provides an intimate dining experience. The bright kitchen will be sure to impress with all of its storage and counter space. The hall bathroom has been recently updated and the spacious master bathroom has his/her sinks, Jacuzzi tub and separate shower. Located perfectly within the loop, next to the Medical Center, this home has easy access to Interstate 610, and highways 90 and 59. 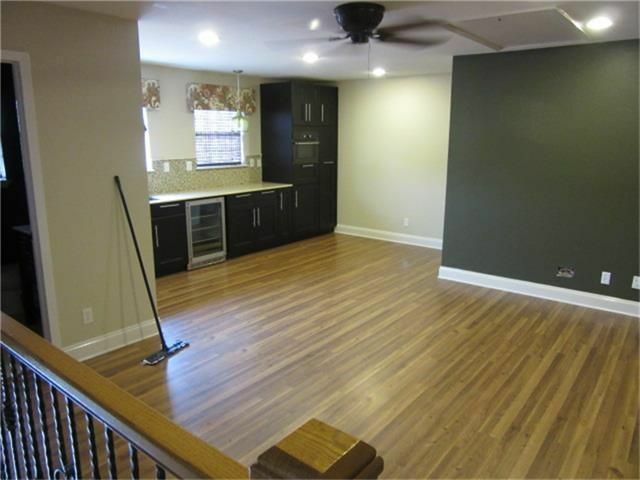 This home is freshly cleaned and ready for immediate move-in! Come see it today, this unique charm will not last long!